QuickTime Player, developed by Apple, has been one of the most popular video and music player mainly on Mac, but also works on Windows PC. Until a few years ago, Apple has decided to stop supporting QuickTime for Windows. 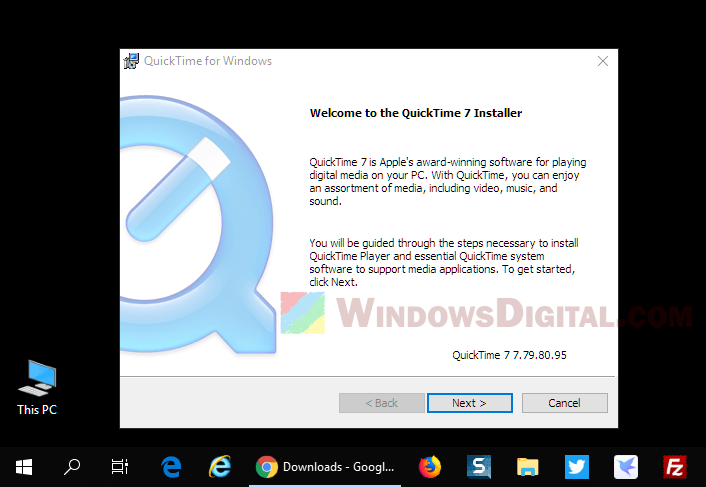 Though the latest available version of QuickTime for Windows, version 7.7.9, was for Windows 7 and version below it, it should also be able to play normal videos and audios just fine in Windows 10 (64-bit or 32-bit). The reason Apple stopped supporting QuickTime for Windows is mainly because the key media formats are already supported by recent Windows version. Most Windows web browsers support video playing without the need of external browser plugins. 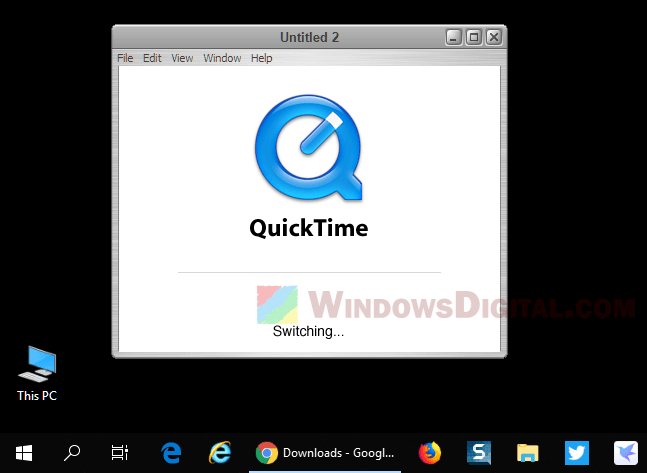 Click here to download QuickTime Player 7.7.9 offline installer for Windows 10. The listed download link is hosted by apple.com. The QuickTime 7.7.9 installer weighs about 41.9MB and was first released on Jan 2016. QuickTime 7 Windows version was last supported on Windows 7 and Vista. It has been working perfectly on these OS version. 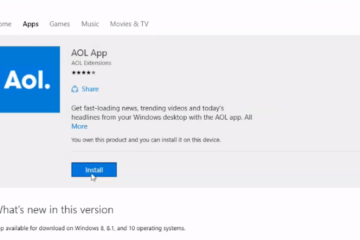 If you install it on other later versions of Windows such as Windows 10, it may not work with full functionality and may not be able to play some of the latest videos. There is no guarantee that things will work perfectly as expected using the said QuickTime version on Windows 10, especially if you are to play some new formatted videos, it probably won’t work. But it should work fine playing normal videos or musics. 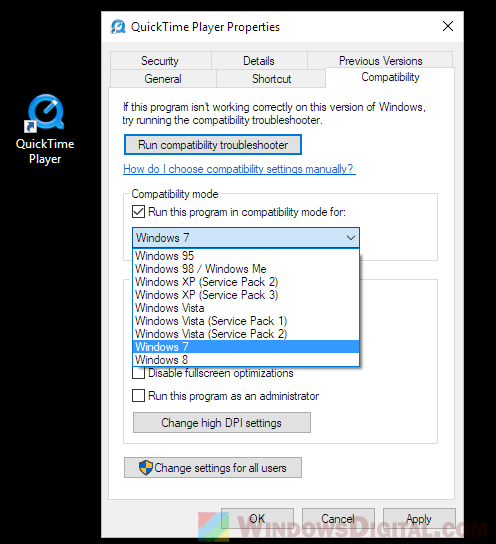 If you run into compatibility issue such as freezing or other unknown bugs, you can try to run QuickTime in compatibility mode for Windows 7 or Vista. Here’s how. Once you’ve downloaded and successfully installed QuickTime onto your Windows 10 PC, right-click QuickTime from your desktop and then click Properties. Go to the Compatibility tab. Under compatibility mode, check the checkbox for Run this program in compatibility mode for, and then select either Windows 7 or Vista. Click Apply then OK. Launch QuickTime again and it should run as if it was installed on Windows 7.